Pls I present to you a problem which has denied me sleep for the past 2days. I'm working on my final year project which is titled "DIGITAL ALARM CLOCK USING PIC16F84A" and I seem to be having problem with the source code. Im a newbie in pic programming and I have very limited time, b4 my project defence takes place. 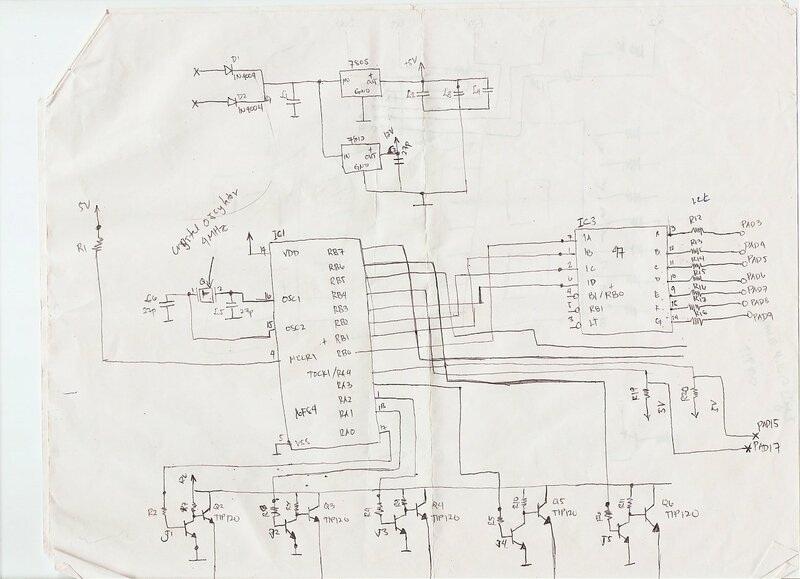 Pls all u PIC programming guru's any1 should pls help me out and write the source code, if possible with the circuit diagram. I need ur help plssssssssss. These are two good examples of a digital clock that works by using PIC. Search the web by yourself if you want to get better results. Google is always your true friend. HI to all,I'am a new user in this site..can any one help me in designing a clock for the scoreboard using PIC 16f84a and a seven segment..I need the program and the schematic design of it..thanx..
At least try and write the code your self and then come back here and quote bit's of your code that don't work. People will be more inclined to help you if it looks like you are at least trying to learn something yourself rather than getting other people to do your school work for you. i attach a schematic in her...and i tryid to make a program....can any body help ASP...please..this is the program..
That is C code you posted, not assembly. If its a C program you are writing then you are in the wrong board. Let us know which is it and one of the mods will move this thread for you into the right board. can we ask for sample asm codes for time and date display with alarm plzzzzz,,,need asap!! we are using pic16f84a microcontroller. Is it me, or is it that whenever a certain group of people get the same homework assignment in school, multiple of them come here to see if people here will do it for them? It is not nice to hijack another person's post! Create a new post for yourself...this will maintain an organized way for us to respond to your individual questions, after all one main trait of a programmer is being organized!! !